Cape Town’s live music history is dotted with a few rare, special moments – epic, one-of-a-kind instances that brought smiles to faces, tears to eyes and warmth to hearts. Here, we’ve gathered some of those unforgettable occurrences at Cape Town concerts, festivals and gigs, ones that will make those who attended proud to say, “I was there” and everyone who wasn’t green with envy. 1. 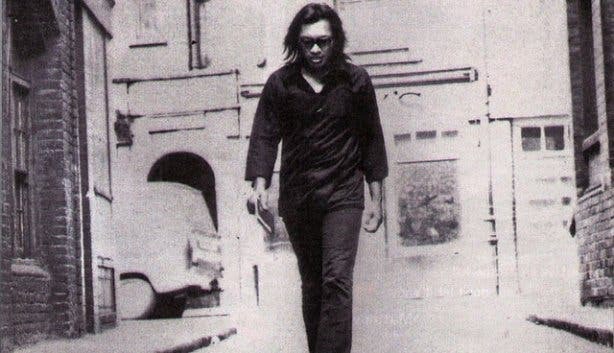 ‘Sugar Man’ Rodriguez’s First Performance in Cape Town. Legendary American singer Rodriguez’s first-ever performance in South Africa (SA), which took place in 1998 at the Bellville Velodrome, was one of the most memorable moments in local music history. For fans who for years had believed the musician was dead, hearing him start to sing ‘I Wonder’ must have carried the same sort of emotional intensity that comes with rediscovering a long-lost friend. And it was, visibly, an equally poignant experience for him (this show was actually the first time he stepped on stage in 18 years). Did you know? The man who was responsible for finding Rodriguez and reigniting his career is a Mother City native whose record store, Mabu Vinyl, still sits right here in the CBD. Elton John’s 2010 ‘Under African Skies’ show at Kirstenbosch wasn’t just a concert; it was a moving and personal expression of the star’s passion for our continent. The stand-out moment was, of course, when he performed ‘Circle of Life’, the opening song from The Lion King, while scenes from the movie screened in the background. It was an experience that left the crowd feeling like they’d shared a moment of deep connection with a living legend. Did you know? Apparently one of the reasons that Elton John adores Cape Town so much is because it’s such a gay-friendly city. 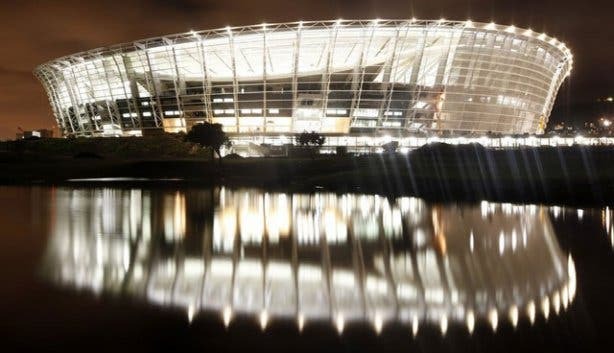 The 2013 Mandela memorial concert at the Cape Town Stadium in Green Point, held six days after Madiba’s death, was peppered with goosebump moments. One of these was the Bala Brothers’ tear-jerking rendition of ‘You Raise Me Up’ at sunset. As shouts of joy and cries of grief rose up from a stadium that sits not far from Robben Island where Mandela was imprisoned, this performance evoked a great sense of camaraderie and spiritual solidarity among those who attended. Did you know? The stadium was almost at full capacity, with most people having made the effort to arrive at the concert at 4pm (the start time) despite it being on a work day. The most unforgettable moment in Lady Gaga’s 2012 Cape Town show came when the pop queen invited audience members on stage while she sang ‘Born This Way’. When one over-zealous groupie got too up-close-and-personal, fans got a rare raw glimpse of Lady Gaga the person as she dealt with the situation. Some found the whole thing hysterical, others found it annoying and others found it touching. Regardless, it was the stuff memories are made of. Did you know? Apparently, the little monster wasn’t one of the ones invited on stage; she clawed her way up in the place of some other poor girl. Eccentric British singer Imogen Heap’s dreamy voice and the magical setting of Paul Cluver wine estate’s outdoor forest amphitheatre were, seemingly, made for each other. So, when she performed there in 2011, the result was almost spiritual. The most precious moments were when she chattered away informally with the crowd, letting them in on her personal life. According to viewers, it was like watching her in her own lounge. Did you know? It was apparently the daughter of a local concert organiser who was responsible for getting Imogen Heap to come to Cape Town. There were few dry eyes in the house when Cape Town opera singer Kimmy Skota joined legendary Dutch conductor André Rieu and his orchestra to perform ‘My African Dream’ at GrandWest in 2010. The intense emotion in her voice and the poignancy of the song, which was first performed by Hanover Park-born vocalist Vicky Sampson, really pulled on people’s heartstrings. Did you know? 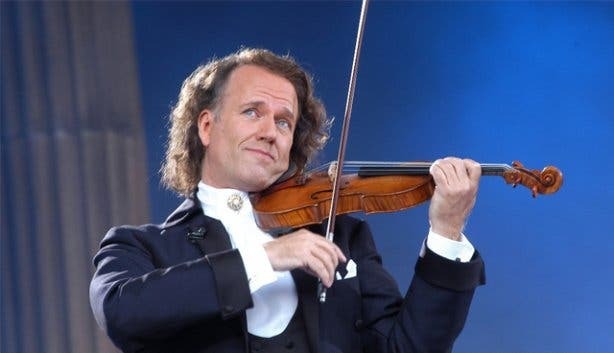 André Rieu is fond of Cape Town and has worked with the talented children of the Hout Bay Music Project. He also filmed a promotional video on Table Mountain. A day afterdisappointing on the big stage at the 2012 Cape Town International Jazz Festival, American R&B artist Lauryn Hill shone on the little one when she made a surprise appearance during local Xhosa rapper Kanyi’s album launch at Zula Sound Bar (a Mother City institution that’s now closed). There were rumours that she would show up, but no one believed it until she stepped into the light and sang, giving revellers the rare joy of seeing an icon in an intimate underground venue. Did you know? Many actually walked out of Lauryn Hill’s dismal jazz fest performance. Audiences expect artists to jump around on stage; they don’t anticipate them to start walking above their heads. So when Grammy Award-winning US DJ Diplo performed the above feat at the first-ever Mad Decent Block Party in Cape Town (it was also the first version of the party outside of America), excitement levels hit the roof. Did you know? Cape Town-based music events company Seed Experiences was responsible for bringing the EDM eventto South Africa. Did you know? This video clip from SABC is one of the only parts of the concert still on tape. Many locals weren’t aware that British alternative rock group Skunk Anansie were performing again post their 2001 separation when it was announced that they would play at the 2013 Rocking the Daisies festival in Darling. So, it was partly the surprise factor that made their gig so mind-blowing. It was like a little gift from the past. And they put on a show that was just as powerful as those years back, with the highlight being lead vocalist Skin’s stroll among the crowd. Did you know? This is not the first time Skunk Anansieperformed in Cape Town. They played at 3 Arts Theatre in Plumstead in December 1997. Carols by Candlelight at Kirstenbosch Garden is a magical musical event that’s become an annual favourite for locals. This video captures one of the most moving moments taking place each year: the singing of ‘Silent Night’. The experience of listening to this slow, beautiful melody while watching hundreds of candles wave gently from side to side in one of Cape Town’s most breathtaking natural settings borders on spiritual. Did you know? 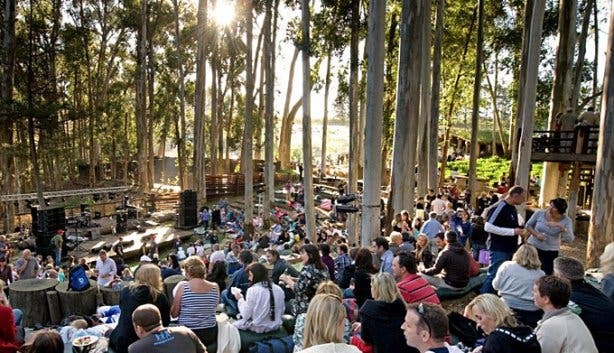 The Carols by Candlelight event has been held at Kirstenbosch for more than 20 years. Seeing guitar genius Carlos Santana appear beneath the lights on GrandWest’s stage was a truly epic experience. The man is a Rock ‘n’ Roll Hall of Famer, a 10-time Grammy Award-winner and possibly the only artist from the original 1969 Woodstock festival that’s still blowing minds today. Needless to say, those powerful first few bars with which he kicked off his debut SA concert are a sound fans will never forget. Did you know? 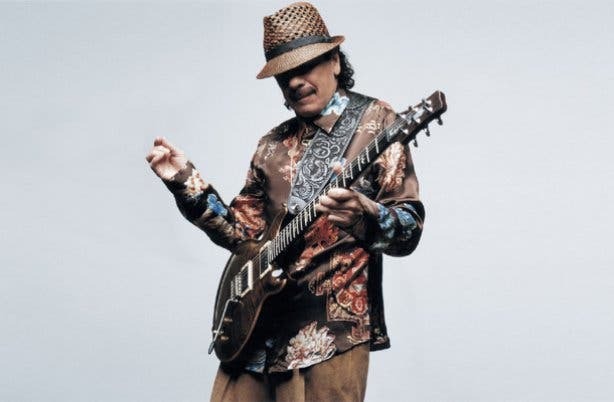 Originally, Santana was meant to play two shows in Cape Town, but due to the high demand, a third Mother City gig was added to his itinerary. Do you have a memory of a great Cape Town music moment that doesn't appear here? Share it with us by sending a video to now@capetownmagazine.com. To make sure you don’t miss the next massive melody moment, be sure to check in regularly at these top live music venues in Cape Town.